Designed for busy venues and fits all kinds of table tops. Choose from 3 heights including coffee table height and dining height with a completely free UK mainland delivery service. 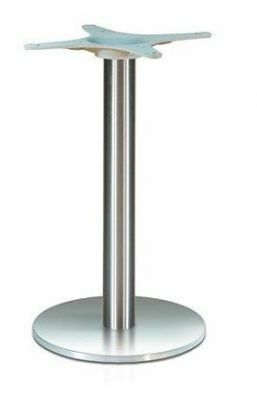 A café table base in brushed stainless steel to suit a wide variety of commercial uses. This range is extremely popular with commercial venues, held in stock for a convenient 2-3 working day delivery free of charge.